While most children are able to learn at a normal level and pace, some have cognitive impairments that make learning difficult. Cognitive impairments are intellectual disabilities that are caused by brain abnormalities, genetics, injuries or diseases. Some cases are present at birth, while others develop over time. These intellectual disabilities can affect a child in many ways. They may have trouble not only learning new things, but also communicating, walking, socializing and performing daily tasks such as eating and dressing. In order to teach children with cognitive impairments, prospective Michigan educators must pass MTTC Cognitive Impairment Exam. You are given two hours and 30 minutes (computer-based test) or four hours and 30 minutes (paper-based test) to complete the MTTC Cognitive Impairment Test. There will be 100 multiple-choice questions. You will need a score of 220 or higher to pass. The test consists of four subareas. The test will assess your knowledge of various concepts, including human growth and development, factors that affect development and learning, uses and side effects of various medications, types of cognitive impairments, intellectual functioning, adaptive behavior, learning characteristics of students with cognitive impairments, effects of cognitive impairments on education and life roles, informal and formal assessment methods, interpretation and communication of assessment results, screening procedures, use of adaptive technology, collaborating with parents and teachers, procedures for developing individualized plans and programs, and planning and managing the learning environment. The exam will also cover topics such as appropriate handling of students with physical disabilities, developing and selecting content, designing sensory stimulation programs, enhancing verbal and non-verbal communication skills, enhancing social skills, developing academic and functional living skills, behavior management techniques, promoting successful transitions, developing appropriate goals and programs, collaboration with families, developing partnerships with schools and the community, integrating therapy services, historical and legal foundation of education, and professional and ethical roles and responsibilities. 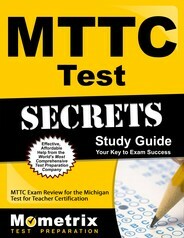 Preparation is key for these MTTC tests. Thanks to the study tools provided by the Mometrix Test Prep Team, you can gain knowledge and enhance your understanding of key concepts without cramming or spending 24 hours a day studying. The MTTC Cognitive Impairment Practice Test will help you practice your test-taking skills so you will feel more confident on test day. For best results, you should take the practice test in a quiet area and time yourself so you can better prepare yourself and get a feel for what to expect. 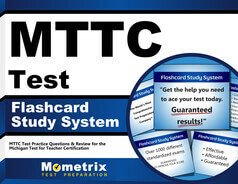 The MTTC Cognitive Impairment Test is another great way to prepare for the upcoming test. By reading the test objectives, you can determine which ones you will need to study the most. This will allow you to spend your studying time focusing on areas where you need to improve.